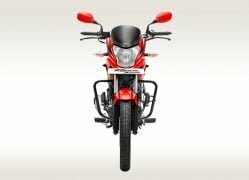 Hero MotoCorp and Honda Motorcycles and Scooters India are two of the largest selling two wheeler manufacturers in India currently with Hero leading the way. 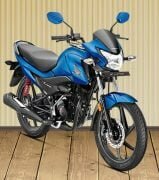 Honda has made clear its intentions of snatching the lead away from Hero and this intent is backed by the 15 product launches Honda has in store for 2015. 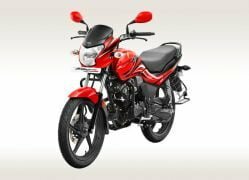 The Japanese automobile giant has just launched its latest commuter bike for India, the Honda Livo. 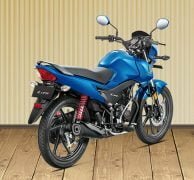 The motorcycle is positioned in the fiercely competitive 110cc commuter bike segment where it goes up against the Hero Passion X Pro. 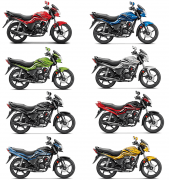 So how does the new entrant compare with one of the best selling 110cc bikes in India? Find the answer in our Honda Livo vs Hero Passion X Pro comparison story. 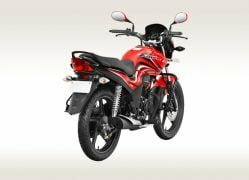 Being a brand new motorcycle, the Honda Livo is a fresh face in the market which gives it a slight edge over the Hero Passion, a bike that has been around for quite some time now. The Livo looks pretty sporty for a commuter bike thanks to its slightly aggressive and edgy styling. 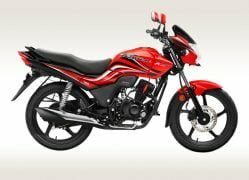 While the Honda Livo looks much better from the front and sides, its the Hero Passion X Pro which has the upper hand when it comes to rear end styling. 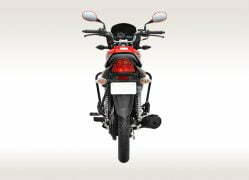 The Honda fails to impress thanks to its Dream Yuga-like tail lamp. The Honda Livo and Hero Passion X Pro get the same engine, but the Passion X Pro has a higher power and torque output. Both bikes feature the same type of suspension set up and come with an option of either drum brake or disc brakes up front. The Hero Passion X Pro also comes in three other variants with kick start and spoke wheels. These variants range from INR 49,525 to INR 51,525. Two of India’s biggest motorcycle manufacturers, two very competent bikes. The Honda Livo and the Hero Passion X Pro are similar in terms of specifications and features. The latter edges ahead in terms of pricing, but only just. The Honda Livo gets better marks in terms of design and styling. 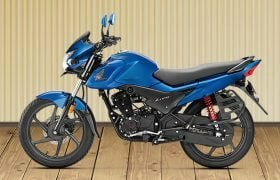 If you have tight budget constraints then the Hero Passion X Pro makes a bit more sense as it can be had for just under 50k for the lower spec model. But then this variant sacrifices on self start, disc brakes and alloy wheels. 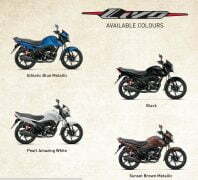 Pricing for similarly specced models of the two motorcycles is nearly identical and we would pick the Honda Livo for its better looks and overall freshness of the package. When it comes to after sales support and service Hero is easily the best in India. 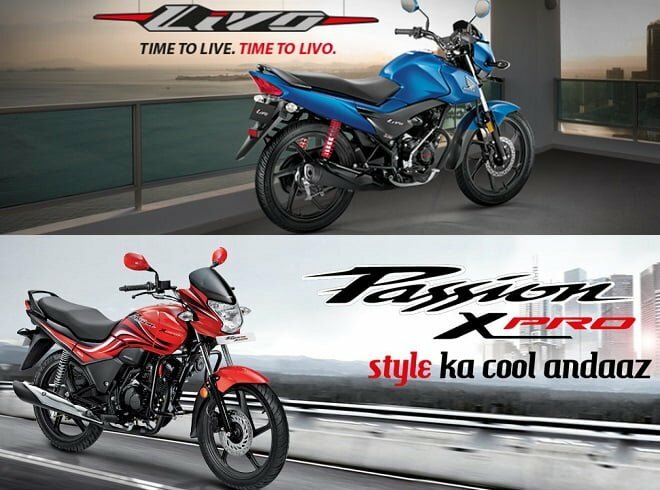 Please feel free to express your views on the Honda Livo vs Hero Passion X Pro comparison in the comments section below. And stay tuned to CarBlogIndia for more new from the automotive world.